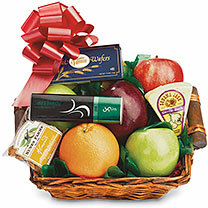 Drum roll, please! 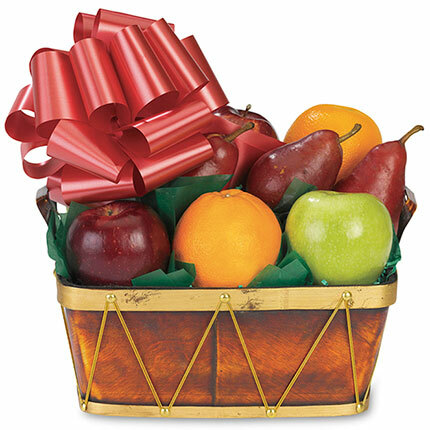 Let us introduce the finest delectable fruits of the season: apples, oranges, and pears. 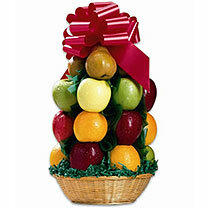 We nestle them gently in a decoration-worthy drum fruit basket, ready for you to send to the fruit lovers on your list.